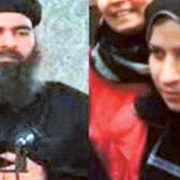 According to senior intelligence sources in Iraq, Abu Bakr al-Baghdadi, the self-proclaimed caliph of the Islamic State (ISIS), has been in neighboring Syria since March 11. 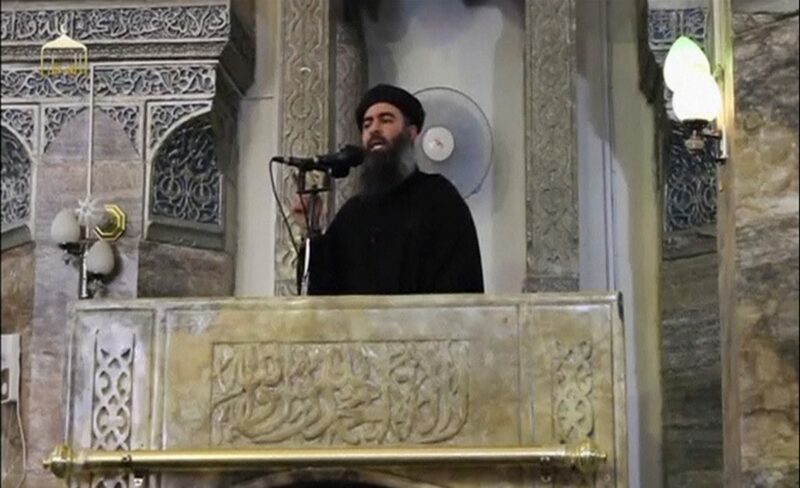 Since declaring his “state,” in late June 2014, al-Baghdadi has been living in Mosul, in northern Iraq. Five months ago, the Iraqi Army launched a major offensive to re-take Mosul. Now on the verge of completion, it has made life there very dangerous for the “Caliph” of ISIS. The 46-year-old was unable to find sanctuary in the central city of Ramadi, which was liberated from ISIS rule back in 2015, or in the town of Tikrit, northwest of Baghdad, where his ten-month rule also collapsed in April 2016. In the Syrian Desert, his troops were driven out of the ancient city of Palmyra earlier this month, leaving him with only a handful of destinations – such as Hawijah, north of Baghdad; al-Qaim near the border with Syria; and Albukamal on the Euphrates River – that are still ruled by ISIS. He is currently in the countryside of Albukamal, from where he is preparing to move to al-Raqqa, the de facto capital of ISIS, to take command of his troops in their upcoming battle with a cocktail of enemies that includes US troops, Kurdish militias, and the Syrian Army. Not too long ago, an area as large as Great Britain and with a population of approximately six million – more than Finland or Denmark – was under al-Baghdadi’s control. It has been shrinking by the day, however, Al-Raqqa is the one battle that will make or break it; chances are, the latter. In mid-March, elite US Army Rangers crossed the border into Syria. They were followed by 600 Marines and are likely to be joined by an additional 1,000 troops. 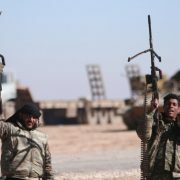 These forces will lead the battle alongside a US-backed Kurdish militia, known as the Syria Democratic Forces (SDF). According to its commander, Sapian Hamo, Apache attack helicopters will soon be joining, too, to air cover his troops as they march on al-Raqqa. The offensive is expected to start on April 1 and it will take “a few weeks only” to defeat ISIS. Contrary to what has been reported in mainstream media and via social media networks, Abu Bakr al-Baghdadi is neither ill nor wounded — and is far from dead. He is earmarked to play a major role in the battle of al-Raqqa, which will almost definitely lead to his defeat and disappearance underground, similar to what happened with Saddam Hussein after his regime was toppled back in 2003. The parallels between Abu Bakr and Saddam are starting to appear hauntingly obvious. Both are Sunni Iraqis impressed by their country’s illusive past, fearful and hateful of Persian Shiites. Living under the harshest years of Saddam’s dictatorship taught Abu Bakr plenty of lessons in life. When he was nine, many of his family members and neighbours were hauled off to battle in the devastating Iran-Iraq War. Some returned minus a leg or an eye, thousands in wooden caskets; yet nobody dared question the wisdom of such a prolonged war, which al-Baghdadi found rather impressive. 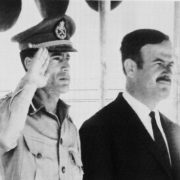 Total obedience is what Saddam commanded and what al-Baghdadi has tried to replicate in his troops. Those who criticised the war were “taken away” by Saddam’s security services, or shot in front of family members—something that is happening yet again, under al-Baghdadi. 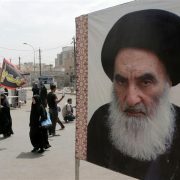 The “Caliph” admired Saddam’s ability to shake off troubles and to move on with his cult of personality, becoming ever-more persistent and brutal. He was the Iraqi alpha male: cruel, unforgiving and uncompromising. His rule taught al-Baghdadi how tough leaders can survive even the harshest of defeats – and move on by turning a blind eye and deaf ear to all around them. Punishment was always harsh – and always public, in order to spread fear throughout society. 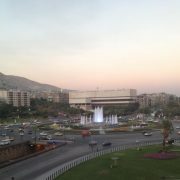 In 1988, for example, Saddam infamously gassed approximately 5,000 civilians to death in the Kurdish town of Halabja, using mustard gas and nerve agents. An estimated 10,000 people were seriously injured: burned, deformed or maimed. He didn’t blink and he didn’t look back. Al-Baghdadi liked that in him. Like Saddam, he has crushed any domestic challenge to his authority in an attempt to replicate the fear factor created by a former President whose name was enough to send shivers down the spines of allies and opponents alike. Instead of Saddam’s trademark khaki military uniform, Cuban cigar and Baathist rhetoric, al-Baghdadi chose Islamic garb and religious overtones to market his leadership. Like Saddam, however, Abu Bakr has, seemingly, grown entirely delusional. He seriously thinks he can outlive this war, just like Saddam thought back in 2003. Saddam had full faith in his troops, expecting them to fight until the curtain fell; instead, once they realized that the end was near, they tore off their fatigues, buried their army weapons in the sand, and put on civilian garb to blend with local tribal societies. ISIS members will likely do the same, forcing al-Baghdadi to hide in caves once al-Raqqa falls to the SDF, just like Saddam did in 2003 and Osama Bin Laden did after the fall of the Taliban regime in Afghanistan back in 2001. During its short rule, ISIS has witnessed dissent in al-Raqqa before, albeit low-level. One year ago pamphlets declaring “Dignity for al-Raqqa” were distributed at night near mosque entrances (so they could be spotted by worshipers before morning prayers), and graffiti was sprayed on walls. These acts – which were remarkable, given al-Baghdadi’s record of brutality – were followed by an online campaign, “al-Raqqa is being slaughtered silently,” launched by 17 citizen journalists, 12 of them living inside al-Raqqa. In 2016, 20 fighters defected, while 120 were accused of planning to flee and executed. More recently, some Tunisian jihadists tried and failed to stage a coup against al-Baghdadi, with one of them blowing himself up at an ISIS checkpoint in al-Raqqa. 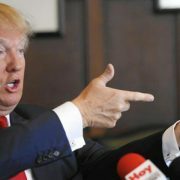 Recently too he admitted that his men had been defeated in Mosul, and ordered foreign fighters to return to Europe, or flee with him into the Iraqi Desert. Only a handful complied with the “Caliph,” who, like Saddam, will soon being his retreat into history.